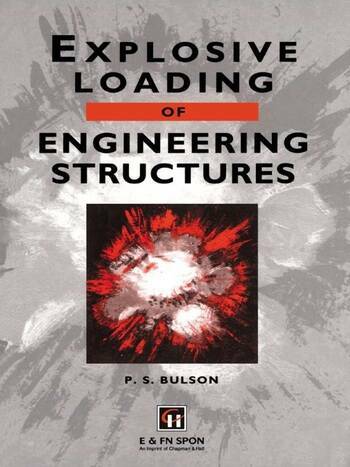 This book reviews the development of research into the explosive loading of structures, mainly since the beginning of the twentieth century. Major contributions in the fields of measurement, analysis and prediction are discussed. Dynamic loading from conventional high explosives is examined, as well as the effects of liquid propellant, dust, gas, vapour, and fuel/air explosions. Subjects include blast in tunnels, underground and underwater explosions, pressure measurement and blast stimulation. Explosive effects on civil buildings, civil bridges, aircraft and ships are summarized, including the estimation of residual strength. The concluding passages refer to structural safety and reliability. The nature of explosions. The detonation of explosive charges. Dust, gas, vapour and propellant. Structural loading from distant explosions. Structural loading from local explosions. Pressure measurement and blast stimulation. Penetration and fragmentation. Weapons and their effects. Residual strength and safety. Index.